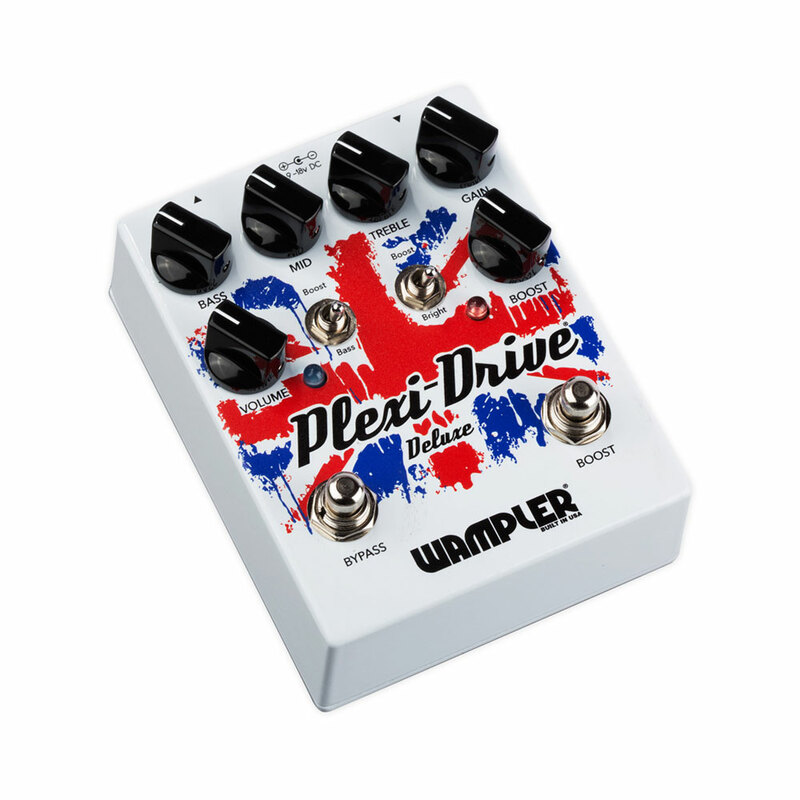 Based on the classic Wampler Plexi-Drive pedal, the Plexi-Drive Deluxe builds on the original by giving you considerably more control to shape your tone. 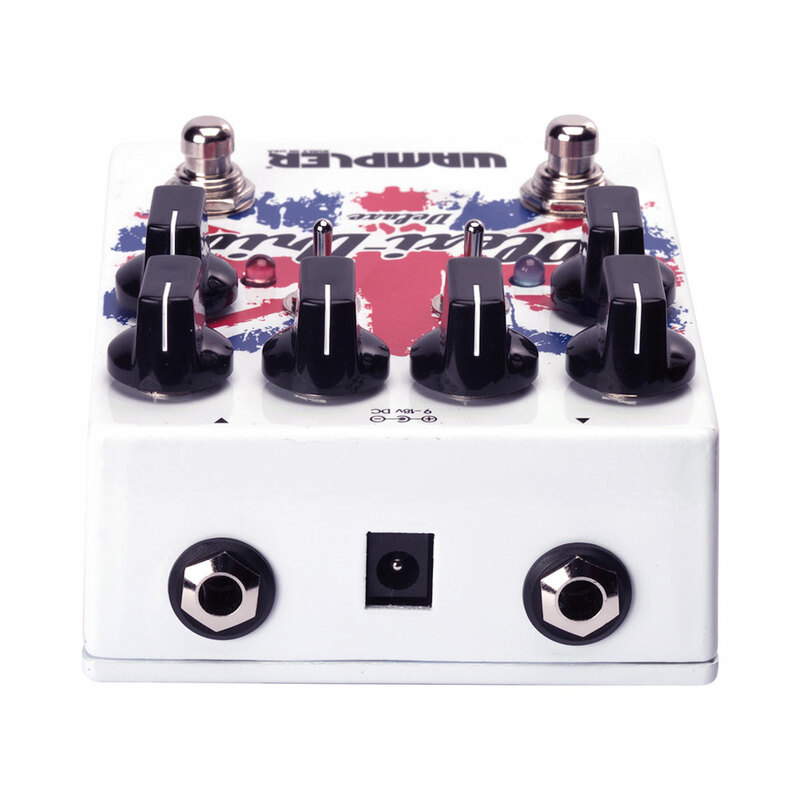 With a 3 band active EQ, additional brightness control switch and a pregain tube screamer style booster, you can achieve almost any Plexi tone from virtually any amp. Since the early 60’s Marshall Amplifiers have lead the way in rock tones with its legendary tight overdrive and coveted bass response. Early rock legends such as Jimi Hendrix, Led Zeppelin, Cream and AC/DC helped lead the way in creating some of the most iconic rock tones ever produced and catapulted Marshall into rock legendary status. 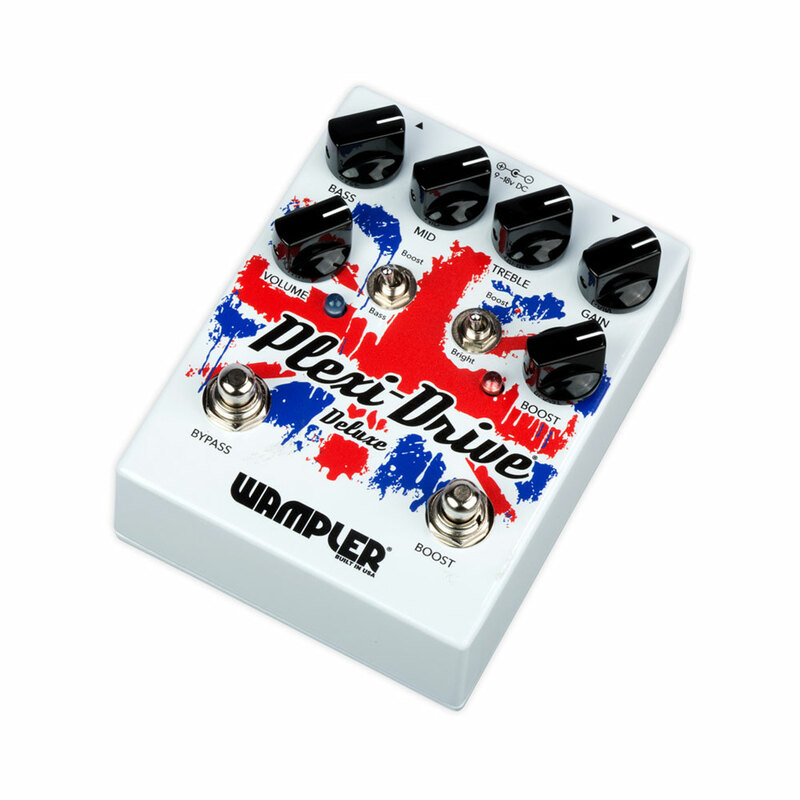 The Plexi-Drive Deluxe unique gain structure covers everything from Vintage ’68 style Plexi tones to the all-out massive rock tones of a cranked JTM-45. With the addition of a 3 band Bass/Mids/Treble EQ stack you can now have even more tonal control. With the bass boost option, you can emulate the feeling of the low end thump of a 4x12" cabinet at the flick of a switch and can allow you to dial in your low end at lower volume gigs or at bedroom volume levels. To compliment this, the addition of a bright switch adds high end sparkle which makes changing from bright to dark guitars and amps a breeze. 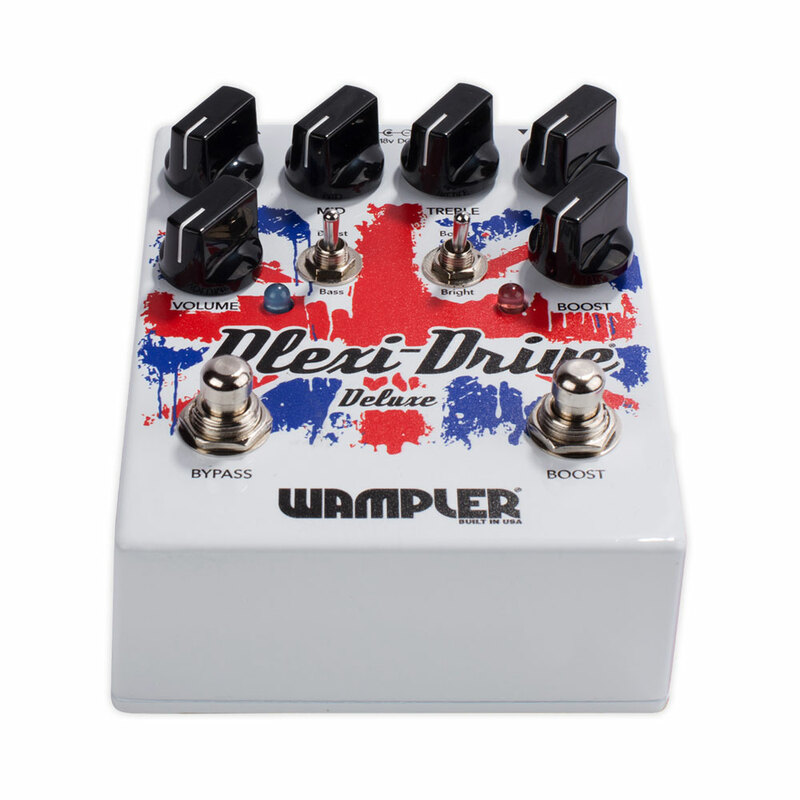 The Plexi-Drive Deluxe also features a one knob, pre-gain tube screamer style boost to help push your leads into thick creamy overdrive. The Plexi-Drive Deluxe will fill your Marshall void and give you the crunch, response, boost and feeling that your rig begs for. 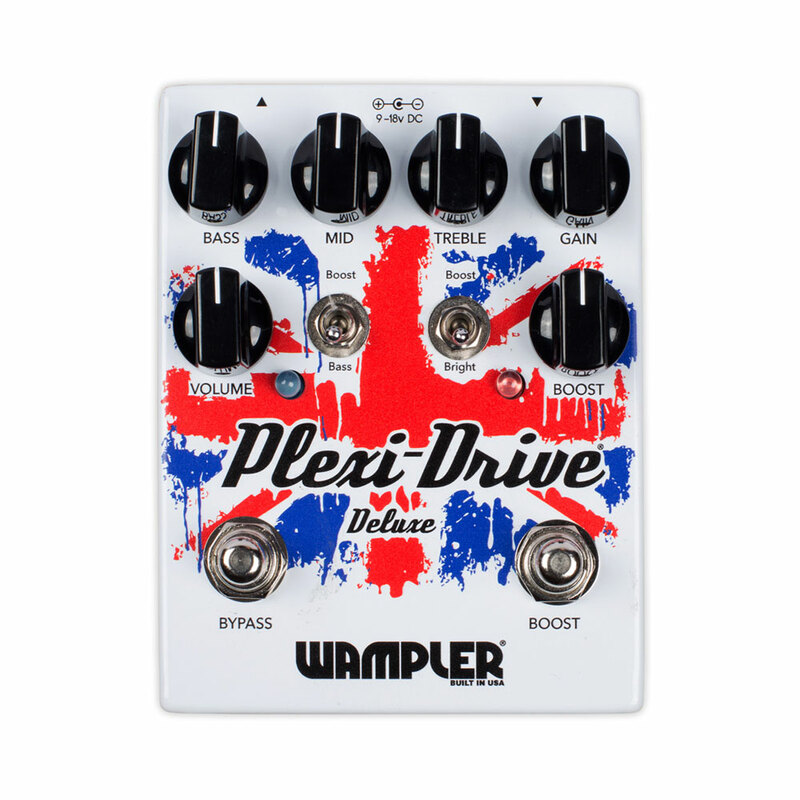 Whether you are playing sold out shows or rocking out by yourself, the Plexi-Drive Deluxe will take your tone and allow you to create your own flavour of rock.